A Victorian Mansion . . . will again provide the background for an old-fashioned lawn party today when the Park Board and the board of trustees of the Historic Gen. Dodge House serve ice cream, cake, and pink lemonade. 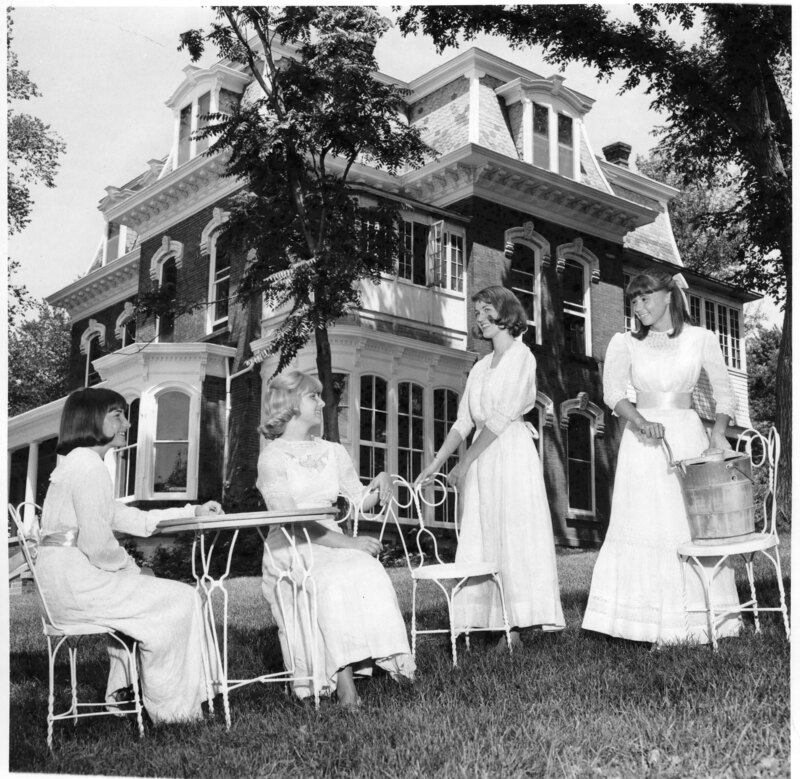 The four young ladies, in cotton "lawn dresses" will act as hostesses. They are (seated) Miss Ginny Snethen, Miss Kathy Griffin, (standing) Miss Susan Leffler and Miss Kathy Hall. Council Bluffs business men, suspenders and shirt sleeves showing, wearing bow ties and straw "sailors," will serve. Refreshments will be sold for old-fashioned "dimes" and entertainment will be provided by barber shop quartets and band concerts. Nonpareil photos, “Dodge House #1,” Council Bluffs Public Library, accessed April 21, 2019, https://www.councilbluffslibrary.org/archive/items/show/5041.